SmithDavidson Gallery is asked for the third time in a row to organise an exhibition at the Sol Taplin Gallery at Miami Country Day School. 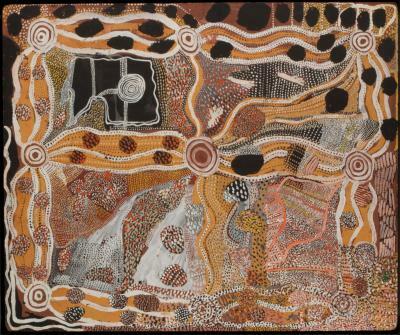 This year the exhibition will present well known Aboriginal Art Artist from the collection of SmithDavidson Gallery. The exhibition starts at April 8 and the last day is on April 30. You are welcome to join us at the preview on April 13 at the Sol Taplin Gallery. You are invited to join the opening of the exhibition 'Colors of Spring' by Zhuang Hong Yi at Museum Zwarte Tulp. The opening is on 23 February at 5 pm in Lisse. Zhuang Hong Yi will be present at this event. From 1 January 2019 the Dutch government has increased the reduced VAT rate from 6% to 9%. This also effects art purchases as the reduced VAT rate is applicable on most contemporary art i read more..
For the Amsterdam SmithDavidson Gallery there is an opening for a new gallery assistant. Are you interested and w read more..
We would like to wish everyone a happy and healthy 2019. We look back on an eventful year and we would like to thank everybody for their support. For 2019 we have many exciting projects planned. Next to the interna read more..
With the exhibition Tembe Afaka, artist Marcel Pinas sheds new light on the theme of Kibri a Kulturu (protect our culture), to which he has been dedicated for years. At Hotel Maria Kapel [HMK read more..
On December 6 SmithDavidson Gallery organizes a special cocktail party together with UNIQ. Willem van Weeghel was born in 1956 in Wageningen, the Netherlands. After high school he studied to become teacher in fine arts. For his final exam he produced his first kinetic objects and after that, until today, he worked as profe read more..
SmithDavidson Gallery participates in the Art & Antiques Weekend of Amsterdam’s Spiegelkwartier (Museum Quarter). It's the official kick off of the Dutch cultural season with surrounding antiques dealers and galleries showcasing thei read more..
Zhuang Hong Yi was born in 1962 in Sichuan, China. After he finished his artistic education at the Sichuan Fine Arts Institute - the oldest and one of the most prestigious art academies in China - in Chongqing, he and his wife (the a read more..
Summer is finally here! SmithDavidson Gallery created an art quiz to fill out during your vacation. To challenge you even more, the winner receives tickets to the Zhuang Hong Yi exhibition in Museum 'de Zwarte Tulp' i read more..
American artist Alexander Calder redefined sculpture by introducing the element of movement, first though performances of his mechanical Calder's Circus and later with motorized works, and, read more..
We would like to thank everybody for visiting the opening of 'Chocolate' by Marc Lagrange in Miami and to the preview of 'Summer' by Zhuang Hong read more..
Marie Cécile Thijs is invited to exhibit a range of her artwork in the impressive Palazzo Saluzzo Paesana in Turin. This special cooperation starts June 17th and runs until July 15th read more..
RTL Woonmagazine is a well known Dutch interior design television show with a focus on Dutch Design. The broadcast on 6 May 2018 was an extra special one as it featured Marie Cécile Thijs. Artists Zhuang Hong Yi and Gavin Rain will b read more..
Our intern Thea Gigli is leaving our gallery. We want to wish Thea all the best in her future. Hopefully she will find a nice position where her qualities in political science and art can find each other! 'Smith Davidson art gallery g read more..
We would like to thank everybody for visiting us at the 30th edition of TEFAF Maastricht. This year again, we had the opportunity to welcome god friends and meet new relations. We are looking back at a successful week and read more..
We are back at Tefaf! We are proud to be at TEFAF again. Come visit our booth #528 and take a look at the pieces from Yayoi Kusama, Karel Appel, Jean Dubuffet, Olga de Amaral, Fernando Botero, Marie Cécile Thijs, Marc Lagrange and many more! Do you wa read more..
East and West, Tradition and Modernity, Discipline and Freedom: The Chinese artist Zhuang Hong Yi (* 1962 Sichuan / China I lives in Rotterdam and Beijing) combines these apparent contrasts almost effortl read more..
From his “painting with paper” collages to his latest creations of wildly outsized and convoluted sculptures of money and candy wrappers, Paul Rousso has sought to flatten the dimensional and eleva read more..
On January 25th SmithDavidson Gallery opened a second location in the vibrant city center of Amsterdam. The opening event was great! We want to thank everybody for coming! SmithDavidson Gallery announces the opening of a second gallery location in the city of Amsterdam. In Amsterdam, adjacent to the Rijksmuseum, the Spiegelkwartier is the heart of the Dutch art scene. Located on the 17th Century Canals i read more.. This fall Museum Nairac in Barneveld, the Netherlands, will present an inspiring and surprising combination of art, design, and exciting collaborations in the exhibition “FOOD! Eten in de kunst en design van nu”. Art forms rangi read more..
From September 14th until September 17th 2017 Lausanne is once again the location of the International Longines Horse Show. Following the first solo exhibition of Marie Cécile Thijs in Switzerland this month, the works from her series read more..
SmithDavidson Gallery is proud to announce that works by Marie Cécile Thijs will be exhibited at the Cat Exhibition "Kattenliefde, Negen levens in de kunst" in the Kunsthal Rotterdam from September 9th 2017 until January 14th 2018. T read more..
SmithDavidson Gallery is proud to announce that South African artist Gavin Rain will be present in the Amsterdam gallery during the official opening of "Time Suspended II: Gavin Rain & Paul Rousso"
The preview of the exhibition will read more..
A selection of Marie Cécile Thijs' oeuvre is being exhibited at Casa Tua in Aspen, Colorado through March 2017. This year SmithDavidson Gallery will be participating at the anniversary edition of the world leading art fair TEFAF in Maastricht, The Netherlands. We will be presenting a selection of Modern and Contemporary Art by artists such as read more..
SmithDavidson Gallery is pleased to announce the opening of a new location in the city of Miami! In addition to the gallery in Amsterdam, we are delighted to bring our unique collection of modern and contemporary artwork, photography read more..
SmithDavidson Gallery is looking for enthusiastic and proactive interns to assist in the daily routine of the gallery starting in November 2016. Are you a native Dutch speaker, studying at HBO or WO levels and looking for a challengin read more..
SmithDavidson Gallery is excited to announce the official opening of 'Argentum' the solo exhibition by Marie Cécile Thijs will be hosted by Peter Schoon, director of the Dordrecht's Museum. The Dordrecht's Museum hosted the exhibiti read more..
Frank van der Meijden and his work La Parata Bizzarra will be featured in Gorcums Museum. The exhibition will run from September 20th until October 26th, 2016. Caspar Berger and his Narcissus, Self-Portrait are featured in Gemeentemuseum Den Haag's new exhibition 'Silver Art in the Netherlands', a show of 140 silver works aimed to celebrate the silversmithing techniques over the past 25 yea read more..
Marie Cécile Thijs and her Girl in Silver Dress are featured in BAL! at Paleis Soestdijk, the former residence of the Dutch Royal family. The exhibition will run from June 25th until September 25th, 2016. During the exhibition Mix and Match, we will be showcasing artworks of all our artists such as Gavin Rain, Zhuang Hong Yi, Marie Cecile Thijs, Marc Lagrange, Anna den Drijver and Frank van der Meijden. The official opening will take p read more..
Marie Cécile Thijs at Masterly – The Dutch in Milano. Titled Masterly - The Dutch in Milano. Dutch designers, artisan producers and design agencies present themselves in the center of Milan. At the fascinating Palazzo Francesco Turati the Dutch pavillion arises with the best design and read more..
American sculptor Alexander Calder was a radical figure who is well known for his sculptures. TATE Modern is showing a collection of these Modules in the current exhibtion: Alexander Calder: Performing Sculpture at TATE Modern. The AAMU exists for 15 years and celebrates this with an exhibition about Aboriginal Art called Remember Me. Stories in print. Next week (February 10th until February 16th) SmithDavidson Gallery will participate in Palm Beach Jewelry, Art and Antique Show. We will be presenting a selection of Modern and Contemporary Artworks of artists such as Paul Rousso, read more.. In March 2016, SmithDavidson will be exhibiting at the 27th edition of TEFAF Maastricht (March 11th until March 20th) under our new gallery name. We hope to welcome many familiar faces. Thank you for visiting our booth and our galle read more..
Today is the official opening of 'Dutch Identity' at Museum de Fundatie, Zwolle, The Netherlands. This exhibition will include four works by Marie Cécile Thijs. Marie Cécile Thijs is an artist with a distinctive signature. Her portra read more.. It is with great sadness that we inform you of the tragic death of acclaimed photographer Marc Lagrange, aged 58. He was killed in a tragic accident during his vacation on December 25th, 2015. Lagrange is well known for his in read more.. Opening: 'Utopia; Abstract expressionism from the desert'. On Thursday January 28th we will be opening our new exhibition ‘Utopia; Abstract Expressionism from the Desert’. SmithDavidson Gallery will present works of, among others, Emily Kame Kngwarreye, Kuditji Kngwarreye and Minnie Pwerle. SmithDavidson is looking for an enthusiastic and determined intern to assist in the daily routine of the gallery. We offer a challenging and varied work experience in a young and dynamic organization. You will have many opportunities read more..
Friday June 26th, Smith-Davidson Gallery opened its new show: Global Art Exhibition. We present works by national and international artists such as Gavin Rain, Zhuang Hong Yi, Marc Lagrange, Anna den Drijver, Marcelo Segall and Maayk read more..
After 45 years of business, Leslie Smith Gallery turns over a new leaf; A new beginning. We proudly present: SmithDavidson Gallery. On the 9th of June 2015, the official opening of Signs and Traces - Contemporary Aboriginal Art has taken place in the cultural institute Zamek in Poznań, Poland. This exhibition has been organized by Artykwariat gallery, in close co read more..
Artzuid is the bi-annual international sculptures art route in Amsterdam's Art District: Amsterdam Zuid. This edition, twenty international renowned artists, such as Rebecca Warren, Georg Baselitz, and Frank Stella, will be represen read more.. Opening September 14th 2015, the Museum of Modern Art in New York will exhibit sculptures of Pablo Picasso. During his career, Picasso was always working on ceramics and sculptures. This side of his oeuvre was quite underexposed, unt read more..
From April 23th 2015, the British Museum will present a history of indigenous Australia through objects, and will celebrate the cultural strength and resilience of both Aboriginal peoples and Torres Strait Islanders. The exhibition fe read more.. This evening, the Armory Show in New York City will be opening her door for the exclusive preview. The Armory Show is devoted to showcasing the most important artworks of the 20th and 21st centuries. This year, the Leslie Smith Galle read more..
From January 29th until March 1st, Leslie Smith Gallery will be showcasing her new exhibition of internationally acclaimed photographer Marc Lagrange. Evocative, sensual and voluptuous, Marc Lagrange's work celebrates beauty and ple read more..
After the Summer with the succesful "Global Art Exhibition" which has been prolongued until September 26th, the gallery is looking forward to the events of this cultural season. Under the new name SmithDavidson Gallery will be expan read more..
December 11th until December 15th, Leslie Smith Gallery will be presenting a broad selection of her collection at Masters of LXRY, a leading luxury fair in Europe. Leslie Smith Gallery will be exhibiting Contemporary and Modern works read more.. 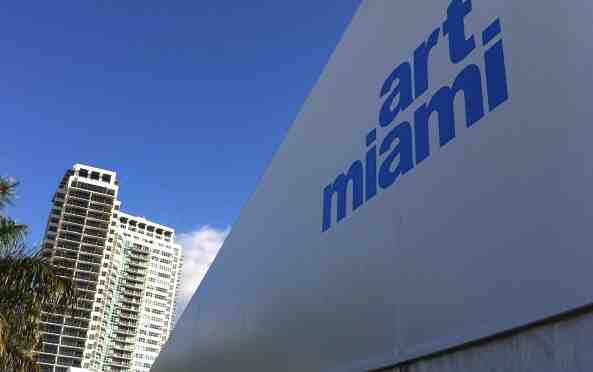 This week, December 2nd – 7th, Art Miami will celebrate its 25th edition in the Wynwood Arts district. Leslie Smith Gallery will be exhibiting works of art by Banksy, Picasso, Zhuang Hong Yi, Guy Rose, Gavin Rain, Jeff Koons, Marc La read more..
November 23rd until November 30th Leslie Smith Gallery will be showcasing a broad selection of her collection at PAN Amsterdam, a today’s fair for art, antiques and design. We will be exhibiting works of artist including Gavin Rain, read more.. It is our pleasure to announce the opening of Zhuang Hong Yi, Solo Miami. The preview will be taking place at the Interbrokers offices on Thursday October 23rd at 5 pm in Doral, Florida. You are more than welcome to join us at this e read more..
Leslie Smith Gallery will be taking part at the first edition of Art Silicon Valley this October from the 9th to the 12th. This brand new art show promises to be The major art event of the season for the San Francisco area and was se read more..
After a successful launch of the first solo show of photographer Anna den Drijver this exhibition is now on show at the Leslie Smith Art Gallery. This Exhibition will take place until November 1st. Her work is about growing up and s read more..
As the summer holidays are drawing to a close, LSG is looking forward to an eventful new cultural season. Starting September 10th the first solo exhibition by Anna den Drijver will be on view in our gallery. During the upcoming art read more..
On Thursday July 3rd, Gavin Rain officially opened his first solo show in The Netherlands 'From a Distance' at Leslie Smith Gallery. This exhibition shows many new works of this exceptional South-African artist, who combines science read more..
Maayke Schuitema is showing new work at the The Hague Pulchri studio until June 9th. In the show The Tenth Muse, ballet is the subject that is investigated and a logical development of the visual artworks by artist Maayke Schuitema. read more..
Leslie Smith Gallery will enter in a brand new Contemporary en Modern Art Fair: GAF in Amsterdam. From May 22 to 25 we will be showing work of Contemporary artist like Gavin Rain, Maayke Schuitema, Zhuang Hong Yi as well as Contempor read more..
From April 26 to June 9 the two year photo festival 003fotostad will commence again. During this festival there will be shown different views of photographers on reality. On several public locations in Amersfoort photos will be on di read more..
On April 12 LSG is organizing a lecture on contemporary Aboriginal art. The first part of the lecture focuses on the background of contemporary Aboriginal art, told by gallery owner David Smith. After a short break we will explain ab read more.. This year Leslie Smith Gallery will again be present at the Modern section at TEFAF Maastricht. We will be presenting Contemporary Art as well as our collection of Impressionist and Modern paintings. TEFAF will run from March 14th to read more..
To celebrate the opening of the exhibition ‘Crossing boundaries; the meeting of two cultures. Resemblances of Contemporary Aboriginals Art in Chinese Contemporary Impressionism’, yesterday Leslie Smith Gallery, together with artist Z read more.. Starting February 8, LSG together with artist Zhuang Hong Yi will present the exhibition: ? 'Crossing Boundaries; the meeting of two cultures. Resemblances of Contemporary Aboriginals Art in Chinese Contemporary Impressionism’.?? This read more.. Starting January 12 to October 15 2014, the Aboriginal Art Museum in Utrecht will be showing a special exhibition on the art from the Kimberley region. 'Country to Coast' will take you on a visual journey through the Kimberley, a rem read more.. Starting Januray 15 to 19 LSG will be participating in the LA Art Show. This art fair presents the art world's limitless range featuring exhibitors who appreciate the past, embrace the present and forecast the future. The LA Art Show read more.. Starting December 3rd, LSG will be participating at Art Miami. At booth C#38 we will be showing our collection of Contemporary Dutch, Aboriginal and Chinese art, as well as Modern and Impressionist paintings. If you would like to vis read more.. This year LSG again exhibits its highlights of its collection at the PAN Amsterdam Art Fair. This art fair, held around the corner of Leslie Smith Gallery in the Rai Congress Centre, marks the beginning of the Art Fair season for LSG read more..
After the festive opening at Leslie Smith Gallery in Amsterdam on September 7th, LSG will present 'Colors of Nature' in M-House, Shanghai: The Design Gallery of Simon Ma on November 2nd. Just like in Amsterdam, the duo exhibition sh read more..
On October 19th the Found Museum in Beijing opened a solo exhibition of Zhuang Hong Yi. The exhibition ‘Will Makes The World’ will show many masterpieces by this international renowned artist. The exhibition will be on show until Nov read more..
Again LSG has started an interesting collaboration with an international renowned interior designer. Starting this month, paintings out of the LSG collection will be exhibited within the interior of Eric Kuster’s Metropolitan Luxury read more..
Saturday September 7th 17:00 - 20:00 hours the festive opening of 'Colors of Nature' will take place in the gallery in Amsterdam. Works of renowned Chinese artists Zhuang Hong Yi and Simon Ma will be displayed together. Both artists read more..
LSG has been planning two very exiting exhibitions this fall. On Saturday September 7th 17:00 -20:00 hours, LSG will be opening 'Colors of Nature' a duo exhibition on the works of Asian artists Zhuang Hong Yi and Simon Ma. Both artis read more.. This summer LSG will be participating at Art Southampton, presented by Art Miami. This is the premier international contemporary and modern art fair takes place at the peak of the social and cultural season in the Hamptons, New York, read more..
Thursday June 13th, the gallery at the Minervaplein changed into a very festive location in honour of the opening of the exhibition ‘La Parata Bizarra’ by Dutch artist Frank van der Meijden. After all guests received a bubbly drink f read more..
ARTZUID, the international sculpture route in Amsterdam, has begun. Seventy sculptures of artists from 26 different countries are presented in the beautiful Berlage area in Amsterdam South. Leslie Smith Gallery is situated right at read more.. This year Leslie Smith Gallery (LSG) will be introducing CONCEPTS. These special exhibitions will be dedicated to new and upcoming artists. Giving them a unique opportunity and showcase. On Thursday June 13th, LSG Concepts' first read more.. In April, Leslie Smith Gallery has been putting together a new exhibition titled: A Homage to the Royal Family. This exhibition in honour of the abdication of Queen Beatrix and the inauguration of the new King Willem-Alexander opened read more.. In honour of the abdicating queen Beatrix and the new king Willem- Alexander, LSG will be organizing a special exhibition in the gallery. Showing different portraits of the queen and Willem-Alexander, together with other contemporary read more..
With the end of TEFAF 2013, LSG ends a series of five fairs in a row: PAN Amsterdam, Art Miami, Art Palm Beach, Art Wynwood and TEFAF Maastricht. Next to good sales, LSG also made a lot of new contacts during these fairs. This year Leslie Smith Gallery will again be present at the Modern section at TEFAF Maastricht. We will be presenting our collection of Impressionist and Modern paintings, as well as contemporary Chinese and Aboriginal art. TEFAF w read more..
Friday March 1st 2013 Leslie Smith Gallery will open the exhibition 'Kudditji, Colours of the Desert'. We will show striking, colourful paintings by contemporary Aboriginal artist Kudditji Kngwarreye. Over the years he developed a di read more..
On February 28th (19:00 - 21:30), Leslie Smith Gallery will organize a glance in the world of an international art gallery. During these lectures by director David Smith, you will get answers to questions as: What to look for when pu read more..
Upcoming President’s Day Weekend Leslie Smith Gallery will be participating at Art Wynwood in Miami, Florida. This International Contemporary Art Fair will open with a highly anticipated VIP Private Preview on Thursday, February 14. read more..
January 24th - 28th Leslie Smith Gallery will again be participating at Art Palm Beach in Florida. Art Palm Beach is considered one of the most influential contemporary art fairs on Florida's Gold Coast by both critics and a read more..
Because of great success, the exhibition 'Pure Art' at the Wolterinck Store in Laren has been prolonged. Therefore the cooperation between LSG and interior designer Marcel Wolterinck continues. The exhibition of contemporary Aborigin read more..
From December 4-9 Leslie Smith Gallery will again be participating at Art Miami at the Wynwood Arts District in Miami, Florida. We will be exhibiting Modern and Impressionist paintings, as well as Contemporary Chinese and Aboriginal read more..
Thursday evening November 15th, Rabobank Amsterdam organizes a true Antiques Roadshow evening for its members. They are invited to auction house De Eland, to bring their hidden treasures from the attic, basement or grandmothers close read more..
From 18-25 November Leslie Smith Gallery will again be participating at the annual PAN Art Fair, which will take place at the RAI congress centre in Amsterdam. This year we will be exhibiting our contemporary Aboriginal and Chinese a read more.. In October Leslie Smith Gallery, in cooperation with interior designer Marcel Wolterinck, will be organizing an exhibition on modern Aboriginal Art paintings, called 'Wolterinck Pure Art'. This exhibition will be showing many beautif read more..
Friday 21st Leslie Smith Gallery celebrated the opening of it’s latest exhibition ‘World of Flowers’ on the works by Chinese artist Zhuang Hong Yi. Over a 150 curious guests turned up for the exclusive VIP Preview on Friday 21st to a read more..
Leslie Smith Gallery regularly organizes lectures in and outside the gallery for relations, corporations, banks and museums. Trough different lectures, LSG tries to lower the threshold for visiting the gallery and gives a glance behi read more..
On Friday June 15th, LSG rolled out the red carpet for the preview of its annual Aboriginal Art show, Modern Aboriginal Masters. As a special treat, LSG introduced the "Aboriginal Hall of Fame,"which showcases several paintings by w read more..
From June 2nd until September 23rd, four museums in The Hague and Scheveningen will present works by Dutch painter Isaac Israëls. These summer exhibitions display a multitude of watercolors and paintings. The participating museums ar read more..
On Saturday June 2nd, Leslie Smith Gallery, in cooperation with the Vrije Academie Amsterdam, organized a lecture about Contemporary Aboriginal Art. David Smith introduced over 50 participants to the art and culture of the Australian read more.. This week, LSG organized a lecture about Contemporary Aboriginal Art for course members of VHOK. After a cup of coffee with petit-fours, the guests were welcomed by David Smith. He gave a short introduction to the gallery before delv read more..
Leslie Smith Gallery will be participating at Art & Antiques Fair 's Hertogenbosch 2012. This year the fair will be held at Autotron in Rosmalen. LSG will be presenting Contemporary Aboriginal and Chinese art, along with 19th and 20t read more..
Moving to the Modern Section of TEFAF Maastricht proved to be a great success for Leslie Smith Gallery. We made many new contacts while welcoming old friends to our booth. David Smith's innovative booth des read more..
After 25 years of partcipating in the Old Masters Section of TEFAF, Leslie	Smith	Gallery will for	the first time exhibit in	the	Modern	Section	of	the	fair this year. We will present Impressionist (Monet, Renoir, V read more..
Leslie Smith Gallery is now a member of the Nationale Kunst Koop. This initiative, led by Dutch galleries, enables art enthousiasts to buy art they love by making a series of payments spread over a number of months without accruing i read more..
On Thursday March 1st, 19.00 - 22.00 hours, Leslie Smith Gallery will host an informal and informative evening about art. The program will be a combination of the workshops, "The Art of Buying" and "Contemporary Aboriginal and Chines read more..
From February 16 - 20 Leslie Smith Gallery will be participating at Art Wynwood in Miami, Florida. This brand new International Contemporary Art Fair opens with a highly anticipated VIP Private Preview on Thursday, February 16. Art W read more..
To set 2012 off to a great start, Leslie Smith Gallery will attend Art Palm Beach from January 20th to 23rd. This year Art Palm Beach celebrates its 15th Anniversary at the Palm Beach County Convention Center, with a Preview evening read more..
International financial crisis? Says who? In December the art world of Florida was booming! During the Art Week in Miami, the first week of December, people were able to visit no less then 8 art fairs, multiple exhibitions and satell read more..
Last week the 25th edition of PAN Amsterdam took place from November 20th until November 27th at the RAI in Amsterdam. Leslie Smith Gallery participated for the 25th time in this art fair. The booth of LSG, at which Contemporary Abor read more.. In the past two weeks Leslie Smith Gallery has organized three successful workshops. On October 27th and 29th in cooperation with Avrobode and November 3rd in cooperation with the International Women Contact (IWC), LGS has welcomed a read more..
Monday Octobre 24th, together with UEFA member Michael van Praag, David Smith stood as a guest speaker before the members of the Ajax Business Association. Amongst Jaguar and Range Rover cars in the showroom of Kimman Amsterdam, the read more..
Collection Contemporary Aboriginal Art expanded! David had been back from Australia for only a couple of week, but didn't we know it. Every day, rolled up in tubes, new paintings are arriving at the gallery. Not only has the collection of Contemporary Aboriginal Art been added to read more..
On Wednesday September 7th the Deventer Historical Museum announced an important new purchase. It concerns the painting 'View on Deventer' by the Romantic artist B.J. van Hove (1790-1880), bought at Leslie Smith Gallery. Van Hove was read more..
After a journey of 30 hours David has arrived at the Telstra Awards in Darwin. The Telstra Award is the most important price an Aboriginal artist can receive and it is considered as the highlight of the year in the Australian art wor read more..
David Smith accompanied a select company along the 50 monumental sculptures of internationally renowned artists in the Old Southern part of Amsterdam (Oud Zuid). This 'sculpture route', ARTZUID 2011, was the beginning of an interesti read more..
Leslie Smith Gallery is proud to announce her participation in Art Miami during November 29th until December 4th. Art Miami maintains a preeminent position in America's contemporary art fair market. On Saturday the 18th of June, Leslie Smith Gallery celebrated the official opening of our annual Aboriginal Art Exhibition. It was a successful and sociable gathering with a number of good sales and a lot of enthusiasm about our rece read more..
On the fifth of May, the official opening of an exhibition on Dutch 19th century Romantic painting organized by the Polish Artykwariat Gallery in cooperation with Leslie Smith Gallery and the National Museum in Poznan took place. Dav read more..
New Date, don't miss it! Instead of on the 10th of June as posted earlier, the preview of our 4th Annual Aboriginal Art Exhibition will take place on 18 June, don't miss it! On Wednesday, April 27, the VvAA, together with Leslie Smith Gallery, organized a special theme evening about traveling to Australia and New Zealand. The VvAA is a membership organization of and for healthcare professionals. A group read more.. The Polish Artykwariat Gallery in Poznan organize a special exhibition on Dutch 19th century painting in cooperation with the National Museum in Poznan and Leslie Smith Gallery. On display will be important works by various renowned read more.. Yesterday, the Van Gogh Museum announced the purchase of two works by Camille Pissarro (1831-1903): the painting The Haymaking, Éragny and the gouache Cowgirl in Morning Sun, both from 1887. Pointillist works by Pissarro are very rar read more..
On the 18th of June, Leslie Smith Gallery will open its annual Aboriginal Art Exhibition. Over the course of the past year we have made many exciting new acquisitions and expanded our collection with both promising, new artists and m read more..
On sunday 27 March TEFAF 2011 closed its doors. The world's most influential art fair this year occupied an area of 31,000m2, being home to 260 specialists from 160 different countries, together exhibiting more than 30,000 works of a read more..
On Friday March 18, the annual LSG TEFAF Dinner took place at Chateau Neercanne. After an aperitif we set down for a delicious dinner before exploring the famous wine caves of this charming castle, enjoying a cheese board and some fi read more..
From 13 till 17 and from 20 till 24 January, Leslie smith Gallery was represented at Miami International Art Fair (MIA) and Art Palm Beach (APB) showcasing our unique collection of Contemporary Aboriginal Art outside of The Netherlan read more..
Leslie Smith Gallery was again represented at the PAN-fair in Amsterdam in 2010 with an extra large booth, devoted to not only our regular collection of fine 19th and 20th century paintings but with a special section of contemporary read more..
After a few years of absence, Leslie Smith Gallery will again participate in three of America's most important art fairs. All three fairs will take place in Florida, where LSG is well familiar since it had an affiliate gallery on Pal read more..
From 5 till 10 October 2010, Leslie Smith Gallery for the first time participated in the Arti10 Art Fair in the Fokker Terminal in The Hague. At the heart of the fair in a double sized booth of no less than 77 m2, we presented our read more..